St George’s Shopping Centre, Preston BID, Preston Mobility Centre and Disability Equality North West are coming together to support city centre businesses in making their business more accessible. The campaign launches with an ‘Accessibility Awareness’ workshop and the formal launch of the city’s ‘Changing Places’ facility on Tuesday 13th of November, in line with ‘Purple Tuesday’. Shortly after the free workshop delivered by Disability Equality NW, businesses will be invited to sign up to an ‘Accessibility Charter’ showing their commitment to the cause, with research compiled by city centre users with accessibility requirements. Mark Whittle from Preston BID said: “Accessibility can be improved through a variety of methods, not all of which require a significant investment, or infrastructure works. Improvements could include better signage, store layout changes or the promotion of ‘quiet hours’ for users who may feel more comfortable shopping at less-busy times etc. “We are delighted to be working with city centre partners in supporting our local businesses to adapt their offer and further engage with members of our community with specific needs”. Joe Hannett of Preston Mobility Centre said: “We’re absolutely delighted to be working on Purple Tuesday with St Georges, Preston BID and Disability Equality NW. Along with the launch of the new Changing Places toilet facility, this is a powerful statement of intent for the future retail and leisure experience in Preston. Improving access is about improving the environment for all of us, as well as promoting thoughtfulness in store design and everyday customer service, bravo Preston”! 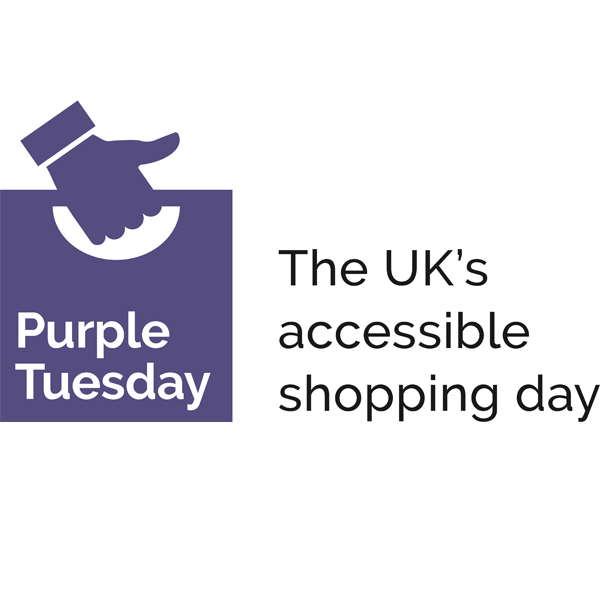 Purple Tuesday is supported by the Minister of State for Disabled People, Health and Work, Argos, Marks & Spencer and Sainsbury’s. The training session will take place at St George’s Shopping Centre on November 13th from 10.00am to 11.45am. City centre business can reserve a free place(s) by emailing bid@lancschamber.co.uk with the names of the representatives they will be sending along.